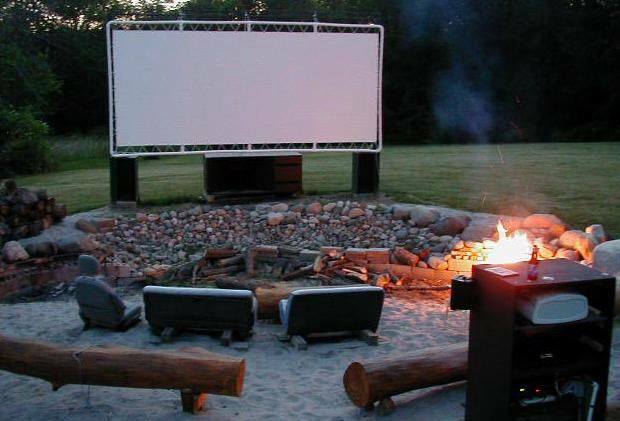 We came across this image showing a great DIY outdoor movie theater. They made good use of recycled materials including old car seats, PVC and more. They built an outdoor movie screen made with PVC pipes, tethers, and a white tarp. Simple materials to make an outdoor theatre! Build your own and enjoy some wonderful movies outdoors!